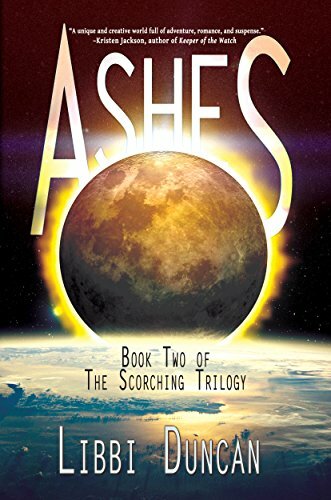 Ashes picks up right where The Scorching left off, continuing Madi’s story. Like in the previous book, Madi is searching for her parents. There is some sort of conflict between the moon and Earth, although I must admit, I have a bad memory for stories, so I forget what the set-up was in the previous book. I really enjoyed the voice and prose, and like The Scorching, Ashes had some amazing settings and wonderful details. The first half of the book puts Madi in so much peril, I was at the edge of my seat, furiously flipping—actually tapping since I read this on my Kindle—pages to find out what would happen next. One thing that bothers me about most YA books with a strong female protagonist is that the main character’s friends always follow her plans and ideas no matter how ridiculous they are. It was refreshing to see Madi get push-back from those around her, and them carrying out their own plan instead of hers. There was one thing near the end that really bugged me, though. Without spoiling anything, there was a serious case of intsa-love between two characters that was really forced. I would have much preferred if one of the characters in that pair hadn’t been in the novel at all. In all, I really liked the book. Fans of YA dystopian or stories with unique settings would enjoy reading Ashes.